St. Petersburg International Business Association (S PIBA) is a non-profit, independent organization which unites foreign and Russian companies that share SPIBA's view and principles. in a friendly and informal atmosphere. In twenty years of existence, since 1995, SPIBA has become a reliable partner for the international business community in North-West Russia. The Association provides a mechanism to bring to light common issues faced by its members in the development of their businesses, as well as to prompt Russian authorities to address these issues. Through the combined efforts of SPIBA’s various committees, SPIBA is able to achieve significant results, leading to gradual improvement in the business climate of the region. Aside from Committees activities, SPIBA organizes General Meetings, conferences, seminars, breakfast briefings, round tables, and business tours. All of the events are dedicated to addressing current issues that directly affect the interests of the Association’s members and involve high-level experts and professionals from both government and business. “Look@it” company visits are particularly popular among members and they focus on the success stories of major brands in the St. Petersburg market. 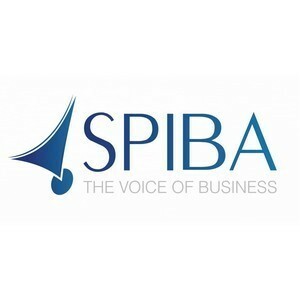 SPIBA regularly holds “Breakfast with the Director” meetings, where business leaders, top managers and directors are invited to share their rich experience and discuss innovative approaches to business and solutions. In addition to these business events, SPIBA invites members to participate in a range of social events from the traditional White Night Boat Cruise to Get Together parties. SPIBA has Quality of Life Committee, which activities are focused on issues related to social problems, education and leisure. An essential component of the Committee’s work is providing access to cultural heritage. Main goals of the Committee are improvement of social communications, provision of freedom of activity and choice in leisure and level of education. SPIBA in the sphere of creative industries has been fruitfully cooperating with museums, theaters and galleries of Saint Petersburg for many years. Within the framework of «SPIBA’s cultural discoveries» members of the Association attend performances in the Tovstonogov Russian State Academic Bolshoi Drama Theatre, temporary and constant exhibitions in Konstantin Palace, Faberge Museum, KGallery. For several years SPIBA together with the marketing agency Papa Marketing have been organizing art-breakfasts on the topic «Why business needs art, what tasks is it possible to solve within the framework of citywide cultural events and how to make it in the most effective way». Traditionally art-breakfasts take place on the museum territories of the city, for instance, in Erarta Museum or in Street Art Museum. Also SPIBA acts as a media partner and actively announces such events as the annual charity musical picnic «Flowers in Junk», where children and their parents could participate in workshops, where they can create small masterpieces on their own; and also the exhibition «Handmade in Germany», taking place within the framework of the international exhibition tour of the exclusive production of German handicrafts. SPIBA is currently cooperating with A. L. Stieglitz Saint-Petersburg state art-industrial Academy, which students are developing a brand-book for the Association, including the development of the logo, motto, presentations, leaflets, folders and brochures. SPIBA is open for new ideas and is always ready to support interesting, unique projects and events in Saint Petersburg and North-West region.